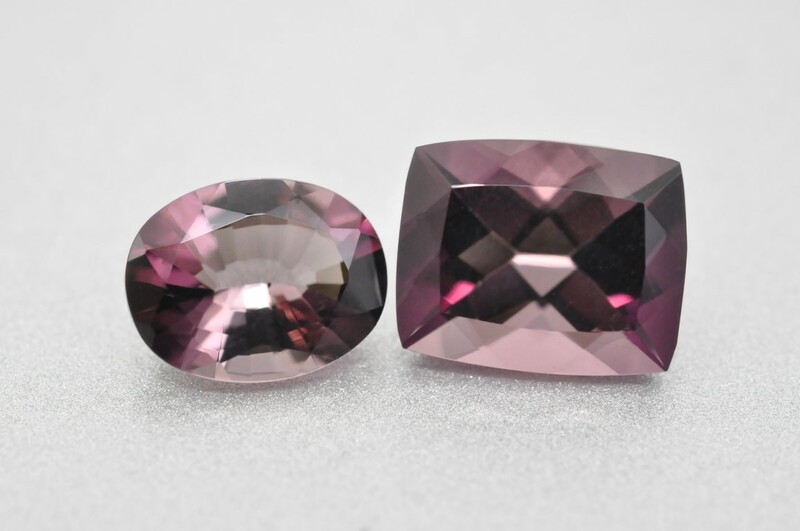 Two gem-quality transparent brownish purple specimens, which were initially thought to be spinel due to their colour appearance, turned out to be scapolite. Both the specimens displayed strong pleochroism, with deep saturated and pale purple colors along the “o” and “e” rays, respectively. EDXRF and UV-Vis-NIR spectroscopy showed that the purple colour is likely caused by Fe-impurity. 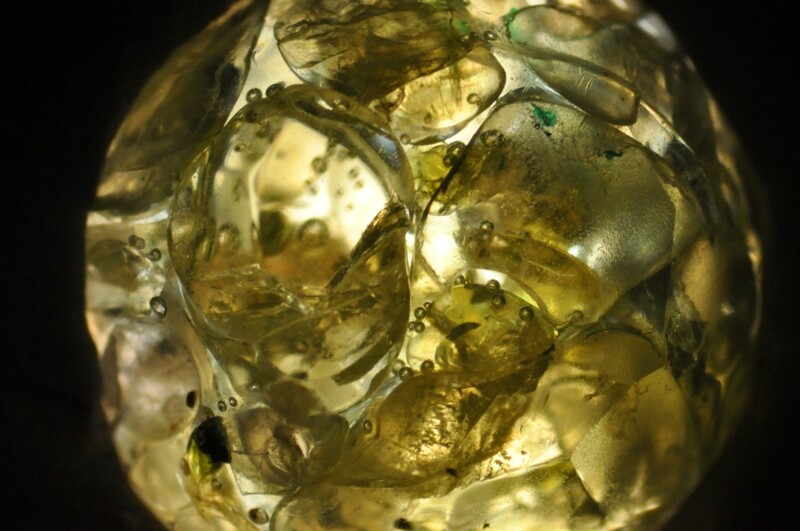 Recently, a translucent yellowish green, round faceted bead was examined that turned out to be a composite, where tumbled pieces of peridot were held together in a colourless to light yellow transparent polymer matrix. Identification of peridot was done using absorption spectrum, doubling of inclusions and Raman spectroscopy. 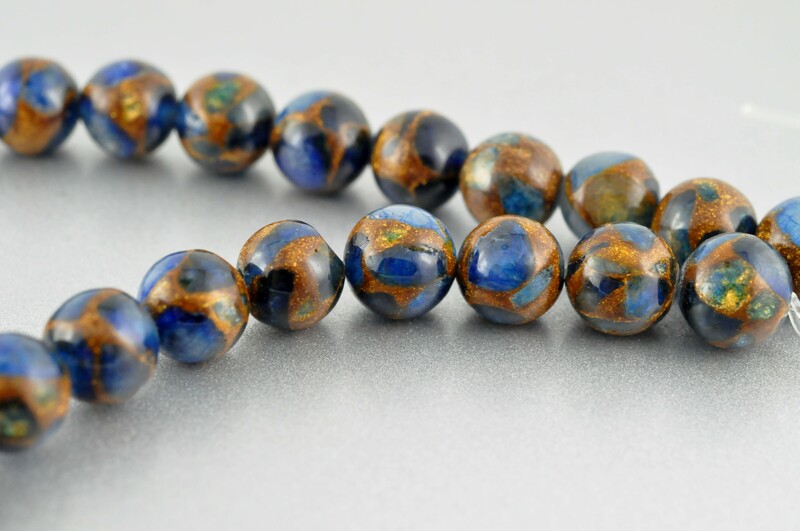 Attractive blue and golden brown spherical beads in this 145.70 ct string were readily identified as artificial by their appearance. They consisted of metallic golden brown veining and concentrations of blue colour against a whiter body. The body of these beads was identified as quartz, while brown veins were composed of copper and zinc. Report on an unusually large yellow coloured carving weighing 1,871 grams, which was identified as belonging to the amblygonite-montebrasite series. This gem species is not seen frequently and is known by only few members of the trade. 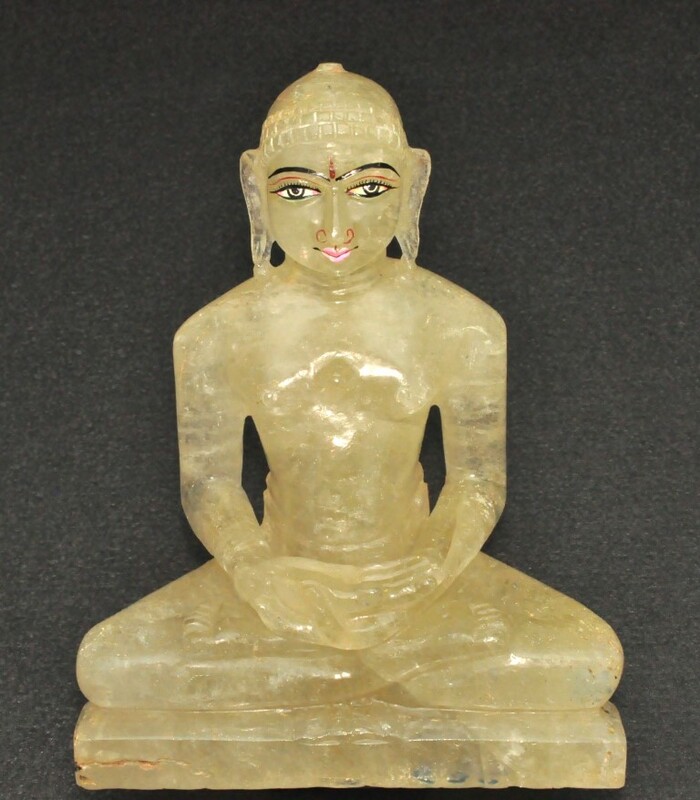 This report outlines the properties of the carving, while Raman spectroscopy proved to be the most important tool in correct identification of this material.